Agar (also known as agar-agar) is a vegetable gum obtained from seaweeds used to thicken foods. It can be used as a vegetarian gelatin substitute, a thickener for soups, in jellies, ice cream, etc. Agar agar is a vegan product. Arrowroot powder, which is sometimes called arrowroot flour, comes from the roots (tuber) of the arrowroot plant, Maranta arundinacea. It is an easily digested starch that many claim has a soothing effect on upset stomachs (hence arrowroot cookies). The arrowroot starch is used as a thickener in many foods, such as puddings and sauces. The starch can also be used in cookies, pie crusts, and other baked goods. 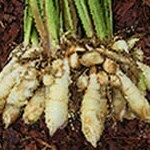 Arrowroot is extremely bland in taste, making it suitable for many recipes. Barley is a very versatile cereal grain with a nut-like flavor and chewy pasta-like texture. 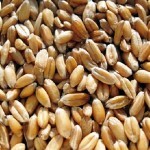 Its appearance is resemblance of wheat berries, although it is slightly lighter in color. Barley is a great source of dietary fiber and actually contains both soluble and insoluble fiber. It is naturally cholesterol-free, low in fat, and high in anti-oxidants and many vitamins and minerals. 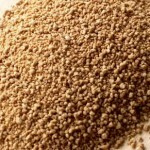 Buckwheat is not a grain, but is indeed the seed of a plant that is related to rhubarb. Though it can be and is used as a grain, such as in breads or baked goods, breakfast cereals like oatmeal, noodles or pasta…etc. 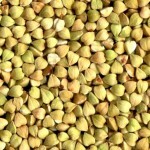 Buckwheat is high in fiber, protein, anti-oxidants, and contains two of the essential amino-acids that your body needs. It is gluten-free and low on the glycemic index (so it will keep you feeling full for a while and will not spike your blood sugar levels). 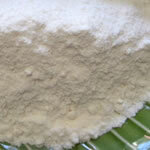 Coconut Flour is made from coconut meat that has been dried and defatted, then ground into a fine flour. It is high in fiber and protein, but low in carbs and gluten-free. Coconut Flour can be used to make breads, cakes, and other baked goods. You may use 15-25% in place of other flours in most standard recipes. A variety of baked goods can also be made using 100% coconut flour. Emmer (also called farro) is a type of wheat that dates back to 10,000+ years ago. 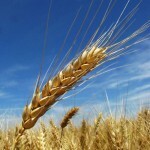 It is often referred to in the bible and is typically lower in gluten the the modern varieties of wheat grown today. Emmer is harder to find in stores and can be more expensive than spelt, a slightly younger cousin. 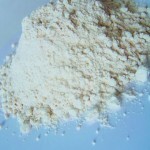 Guar gum is a common and versatile vegetable gum often used to thicken products. It is extracted from the guar bean, where it is a food and water store. Guar gum is typically produced as a free flowing, pale, off-white colored, coarse to fine ground powder. It is considered a vegan product. Muscovado (sometimes labeled as Barbados or moist sugar) is pure, unrefined, cane sugar. It is very similar to brown sugar in that it tastes like and can be used in recipes like brown sugar, but that is where the similarities end. They are two different products. Brown sugar is just white refined sugar with a little molasses added back in, while Muscovado sugar is never seperated from the molasses and as such retains all the vitamins and minerals of the sugar cane. 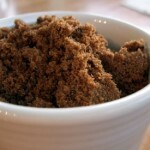 Muscovado sugar is commonly used in Latin America and Southeast Asia. In the US you will need to go to your upper-end healthy market to find it. 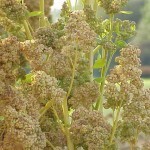 Quinoa (pronounced KEEN-wah) is the seed of a dark green leafy plant that is closely related to Swiss Chard and Spinach. It comes in different varieties (colors), but the typical varieties are red and ivory (white). Because of quinoa’s taste and texture it is usually grouped with the grains. Quinoa is a very nutrient rich food, packed with protein, and is wheat/gluten free. It is also low on the glycemic index (won’t spike your blood-sugar levels), high in fiber and packed with vitamins and minerals. Quinoa has a nutty flavor and a light fluffy texture, and may be substituted anywhere you would normally use couscous or rice. Rapadura (whole cane sugar) is pure, natural, unbleached, unrefined sugar. The sugar cane is squeezed, dried, and pressed through a sieve. The molasses is never separated from it, so it retains all the natural vitamins and minerals. This gives the sugar a light brown color and a natural caramel-like flavor. Rapadura can be used 1 for 1 where you would normally use white refined sugar. Spelt is an ancient grain that traces its heritage back long before many wheat hybrids. Many of its benefits come from the fact that it offers a broader spectrum of nutrients compared to many of its more inbred cousins in the wheat family. It can be used in many of the same ways as wheat including bread and pasta making. 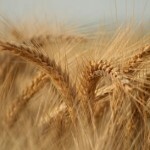 Spelt does not seem to cause sensitivities in many people who are intolerant of wheat. You can find spelt flour and/or spelt grains (berries) in many higher-end supermarkets or health stores, in the baking aisle or bulk bins. The Ume is a variety of plum, common to Japan, that is very widely known for its health benefits. The meat of the ume plum is very tart in flavor, and as such is not considered to be a snacking plum as with other fresh fruits. They are often used in pickling and to make wine and/or vinegar. 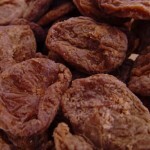 Ume plums have been said to help with a number of health conditions, such as digestion problems, lack of energy, muscle cramps, and several others. Xanthan gum is used in dairy products and salad dressings as a thickening agent and stabilizer. It is typically made from corn and produced by fermentation of glucose or sucrose. Xanthan Gum is considered a polysaccharide in scientific circles, because it is a long chain of three different forms of sugar. Xanthan Gum prevents ice crystals from forming in ice creams, and also provides a ‘fat feel’ in low or no-fat dairy products. It is typical derived from corn, so some individuals may have allergies.